Basel, March 22nd - Today Chopard revealed that from July 2018 it will use 100% Ethical Gold in its jewellery and watches. As a family run business, sustainability has always been a core value, and today sees the culmination of a vision started more than 30 years ago. Long term supporters and friends of Chopard; Colin and Livia Firth, Julianne Moore, models and activists Arizona Muse and Noella Coursaris and Chinese singer Roy Wang came to champion the gold landmark announcement, made by Chopard Co-Presidents Caroline and Karl-Friedrich Scheufele, in front of a packed audience at Baselworld Watch and Jewellery Fair. Speaking at the event, the Co-Presidents outlined how they were able to achieve this milestone. Chopard defines “Ethical Gold” as gold acquired from responsible sources, verified as having met international best practice environmental and social standards. 1. Artisanal freshly mined gold from small-scale mines participating in the Swiss Better Gold Association (SBGA), Fairmined and Fairtrade schemes. 2. RJC Chain of Custody gold, through Chopard’s partnership with RJC-certified refineries. “We have been able to achieve this because more than 30 years ago, we developed a vertically integrated in house production, and invested in mastering all crafts internally, from creating a rare in-house gold foundry as early as 1978, to the skills of high jewellery artisans and expert watchmakers.” Chopard watches and jewellery are beautifully crafted in-house, this means the Maison is in the unique postion to be able to guarantee control of all processes; from manufacturing to final product, therefore controlling the gold used in its products. 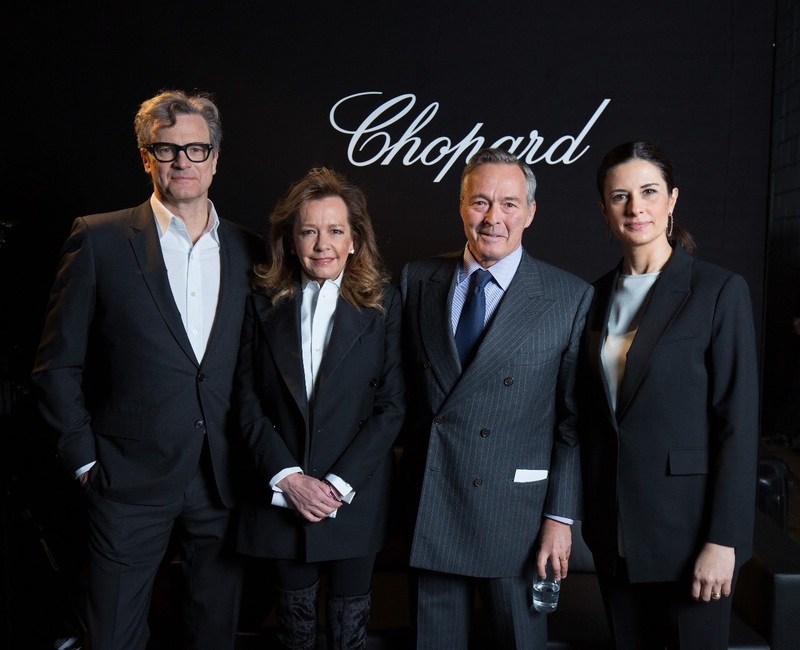 Continuing the conversation Caroline Scheufele, Co-President and Creative Director of Chopard said: “As a family run business, ethics have always been an important part of our family philosophy. Naturally, we have always put ethics at the heart of the values of Chopard. “True luxury comes only when you know the handprint of your supply chain and I am very proud of our gold sourcing programme. As Creative Director of the brand, I am so proud to share the stories behind each beautiful piece to our customers and know they will wear these stories with pride”. As part of Chopard’s commitment to ethical gold, new High Jewellery Green Carpet Collection pieces presented at Baselworld are exclusively made from Fairmined gold, as well as the High Horlogery L.U.C Full Strike watch and the Happy Palm watch. In 2013 Chopard took the long term decision to directly invest in artisanal gold, to bring more artisanal gold to the market. By providing financial and technical resources in partnership with the Alliance for Responsible Mining, Chopard were directly responsible for a number of small scale mines achieveing Fairmined certification. This then allows the small scale mining communities to sell their gold at a premium price whilst ensuring mining is undertaken in line with strict environmental and social conditions. Chopard also helped establish new trade routes from the mines they source from in South America, bringing traceable products into Europe and providing further financial income into local communities. Today, Chopard is proud to announce that the Maison has joined forces with ARM to support and enable a new artisanal mine to reach Fairmined certification - CASMA, located in Ancash (Peru) – which will provide training, social welfare and environmental support. To date, several mines in Latin America including Cooperativa Multiactiva Agrominera de Iquira and Coodmilla Mining Cooperative in Colombia have now achieved Fairmined certification through Chopard’s direct support. By investing alongside ARM in the formalization of mining organisations and their communities Chopard creates hope for these forgotten communities on the margins of society and helping them to make a legitimate and dignified living. 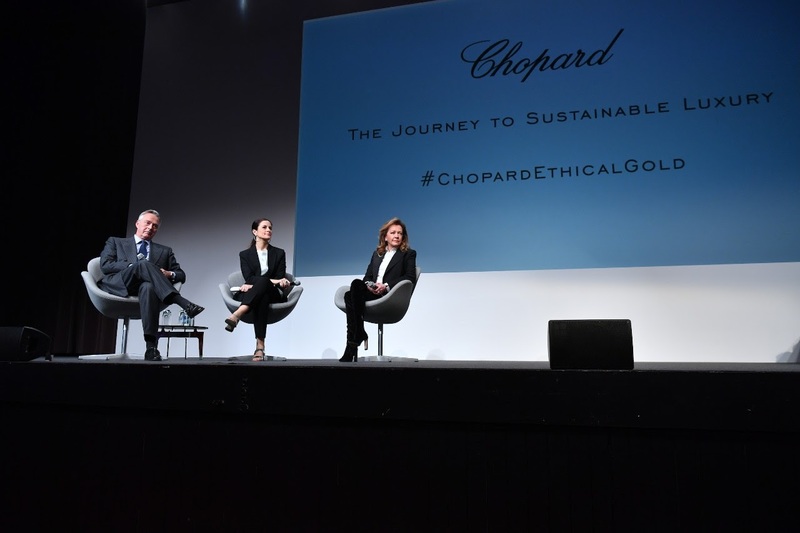 This announcement also marked the next phase of Chopard’s sustainability programme - The Journey to Sustainable Luxury – as the luxury watch and jewellery house unveiled its alignment with the UN Global Goals. As a responsible company, Chopard wanted to go above and beyond compliance and measure how the Maison can contribute to the achievement of the ambitious and much needed UN Global Goals; including contributing to decent work, reduced inequality and responsible resource consumption. Speaking about the importance of business commitments to achieve the UN Global Goals, Livia Firth said: “Today, thanks to The Global Goals, we have a 17 point plan laying out social and natural capital goals – and no one should be exempt from these. Connecting citizens with what has been called one of the most critical initiatives of our times is absolutely essential and exciting, if we wish to see a path to a more sustainable and just future. It is exciting to have Chopard share this vision and at Eco-Age we look forward to working with them to achieve this”. Following the announcement, a panel was hosted by Imran Amed, Founder and Editor in Chief of Business of Fashion, the panel discussed how by aligning with The Global Goals, businesses can help future-proof themselves, create value throughout their supply chains and quantifiably demonstrate how they are helping contribute towards the 2030 aims, for a better world. The luxury jewellery and watch house, Chopard, was taken over by the Scheufele family in 1963. Since then, the Scheufeles have put ethics at the heart the Maison. More than 30 years ago, the family had the vision and determination to develop vertically integrated in-house production, and to invest in mastering all the crafts, from a rare in-house gold foundry founded in 1978, to the skills of high jewellery artisans and expert watchmakers. This meant that Chopard was able to manage all the processes from manufacturing to final product. Since then Chopard has continued with its commitment to sustainability. -	Chopard has been a certified member of the Responsible Jewellery Council since 2012, having joined in 2010. -	In 2013 Chopard launched the Journey to Sustainable Luxury, looking at its key impacts and improving sourcing and production processes to create a more responsible supply chain, from mine to the product. Launched in 2013 in partnership with Eco-Age, The Journey to Sustainable Luxury is Chopard’s commitment to sourcing responsibly and helping the real people in its supply chain who are all too often overlooked. An exciting and ambitious multi-year programme, it has now delivered global market leadership and differentiation from competitors. The Journey began with a world first that saw Chopard forge a philanthropic relationship with the influential South American mining NGO, the Alliance for Responsible Mining (ARM). Chopard became the world’s first watch and luxury jewellery company to support and enable gold mining communities to reach Fairmined certification and provide training, social welfare and environmental support. To date, two mines in Latin America (in Colombia and Bolivia) have now achieved Fairmined certification through Chopard’s direct support. Over the last five years, Chopard has continued to build on its promise, achieving a number of landmark steps including: creating the incredible Green Carpet Collection of High Jewellery using only sustainably sourced and traceable precious materials; the Palme Verte Collection, the first diffusion lines in Fairmined gold; the world’s first watches in Fairmined gold in the L.U.C Collection; not forgetting the mythical Palme d’Or which has been crafted from Fairmined gold since 2014. In 2017, Chopard also launches the new Ice Cube collection, a jewellery diffusion line crafted in Fairmined gold. 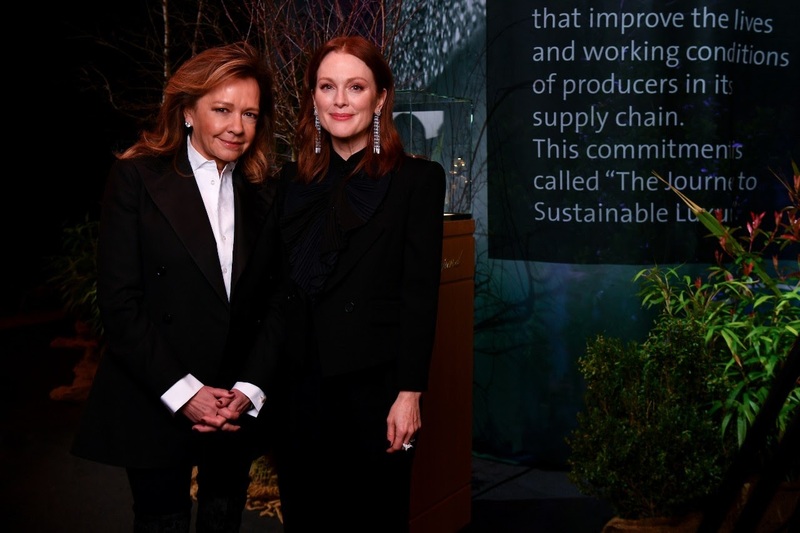 Cannes 2013: Chopard unveils The Journey to Sustainable Luxury, a commitment to a multi-year programme to improve the environment and the lives of those at the very beginning of the supply chain, who are so often forgotten. The first step is a commitment to support artisanal mines through its partnership with ARM and unveils the first Green Collection creations, a delicate cuff bracelet and matching earrings set in Fairmined gold and using diamonds from RJC certified suppliers. French actress Marion Cotillard wears the exquisite jewellery on the red carpet at the Cannes Film Festival. Golden Globes 2014: Cate Blanchett wins the Golden Globe for Best Actress, wearing the most exquisite hand crafted earrings set with diamonds from RJC certified suppliers and set in Fairmined Gold. Baselworld 2014: Chopard launches a world first: an Haute Horlogerie watch made of Fairmined gold, the L.U.C Tourbillon QF Fairmined. Cannes 2014: Chopard crafts the Palme d’Or in Fairmined gold, representing another world first, this time for the film industry. November 2014, Miami: Caroline Scheufele is presented by Livia Firth with the Environmentalist of the Year Award in recognition for her role in launching The Journey To Sustainable Luxury, in partnership with Eco-Age at the Bravo Business Awards. 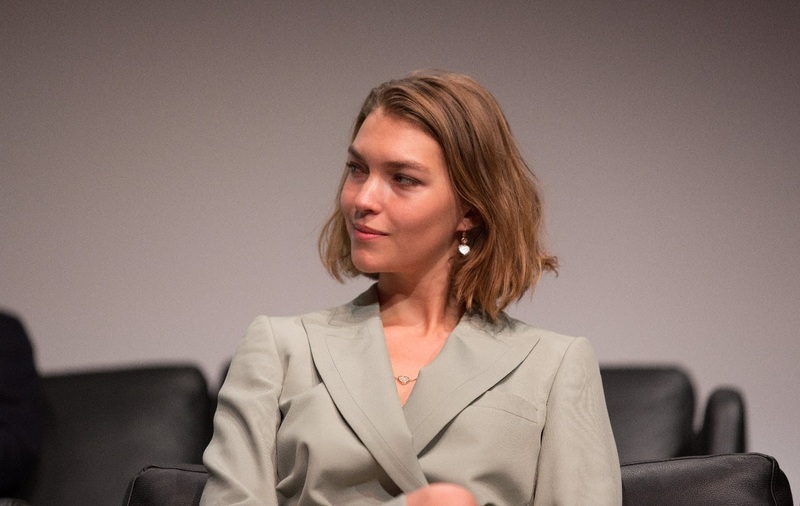 November 2014, New York: Caroline Scheufele is presented by Her Excellency, The First Lady of Columbia, with the United Nation’s Fashion 4 Development Award in recognition of her role in launching The ‘Journey To Sustainable Luxury’. Baselworld 2015: Chopard deepens its commitment to the Journey with the support of a new artisanal gold mine in Bolivia. The luxury watch and jewellery company also launches new pieces for the Green Carpet Collection of High Jewellery and another Fairmined Watch, the L.U.C XPS Fairmined. Cannes 2015: Chopard launches its first diffusion jewellery in Fairmined gold. Inspired by the design of the famous Palme d’Or awarded in Cannes, the Palme Verte collection is crafted in Fairmined 18ct yellow gold. Cannes 2015: Caroline Scheufele and Marion Cotillard combine their creativity and their commitment to sustainable luxury through the Green Carpet Collection for which the Oscar award-winning actress designed a one-of-a-kind jewellery piece. This creation introduces a new material in the Green Carpet Collection: the first traceable and sustainably sourced opals from the Australian family-owned Aurora mine, in remote Australia. September 2015: The two co-operative mines – one in Bolivia and the other in Colombia - have achieved Fairmined certification following Chopard’s support in the last two years. Chopard has pledged to buy 100% of the Fairmined gold the mines produce. September 2015: Chopard continues to lead the jewellery industry with the announcement of a partnership with Swiss refiner, Precinox, to establish the world’s first secure commercial export route for Fairmined gold from Bolivia to Europe. Cannes 2016: Chopard announces its new partnership with Gemfields and unveils a capsule collection of Green Carpet High Jewellery featuring responsibly sourced emeralds for the very first time. Julianne Moore debuts the beautiful Green Carpet creations on the famous red carpet. Julianne, who has walked the Green Carpet Challenge before, wore the incredible statement earrings along with a ring, both crafted in Fairmined certified gold and featuring the validated emeralds from Gemfields and diamonds sourced from the IGC group, which is certified by the RJC Code of Practices. Venice 2016: Chopard continues to strengthen its relationship with Gemfields as it launches new Green Carpet creations of High Jewellery at the Venice Film Festival 2016. The incredible new pieces feature responsibly sourced emeralds, showcasing the marriage of ethics and aesthetics. November 2016: Chopard launches the L.U.C Full Strike, its first minute repeater, crafted in 18ct rose Fairmined gold. January 2017: Chopard reveals a unique capsule collection in the Green Carpet Collection, the Garden of Kalahari, crafted from an incredible D Flawless diamond from Botswana, responsibly sourced in the mine of Karowe: the Queen of Kalahari, and Fairmined Gold. Baselworld 2017: Chopard launches new pieces from the Ice Cube collection, a jewellery diffusion line crafted in Fairmined gold. Cannes and Oscars 2017: Charlize Theron wears the Garden of Kalahari collection on the red carpet. Cannes 2017: Caroline Scheufele, along with Colin and Livia Firth honoured Chopard’s strategic suppliers who all share the same social and environmental values, with the Chopard GCC Award for Commitment to Sustainability and Social Justice. 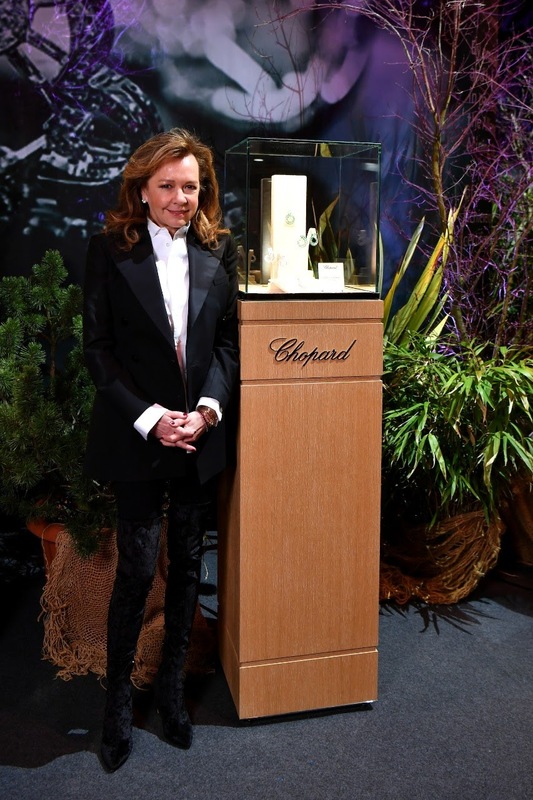 Chopard launches its new luxury perfume house as part of the Journey to Sustainable Luxury. Milan Fashion Week 2017: Chopard is centre stage at the inaugural Green Carpet Fashion Awards, Italia with the beautiful statuettes crafted in Fairmined gold by Chopard, presented to all winners including, Valentino, Prada, Gucci and Armani. October 2017: In light of the escalating Rohingya crisis in Burma, Chopard have taken the decision to cease sourcing Burmese gemstones with immediate effect. November 2017: Chopard joins SBGA in order to further increase its contribution in artisanal gold miners’ improvement initiatives and therefore contribute to a further growth of volumes of responsibly extracted gold. Baselworld 2018: Chopard announces that by July 2018, Chopard will use 100% responsibly sourced gold in all jewellery and watches and measure impact against UN Global Goals for sustainable development. “Artisanal gold” includes gold sourced from Artisanal and Small-scale Mines (ASM). These mines are typically characterised by their informal nature, requiring little specialist technology, knowledge or skill. In order to change this stereotyped image, Chopard has worked with a number of ASM mines to achieve Fairmined certification. RJC Chain of Custody gold is sourced through Chopard’s partnership with refineries which guarantee the gold is produced directly by treacable Chain of Custody certified entities. The Sustainable Development Goals (or Global Goals), launched in 2015, are a set of interrelated 17 global goals set out by the United Nations, which cover an array of social and economic development targets to be reached by 2030. These goals have the power to end poverty, fight inequality and stop climate change. Guided by the goals, it is now up to all of us, governments, businesses, civil society and the general public to work together to build a better future for everyone. As part of our Journey to Sustainable Luxury, Chopard is proud to announce its commitment to measuring its contribution to the Global Goals, demonstrating its desire to promote sustainable development as a jewellery and watch Maison. Chopard has undertaken a series of systematic relevance assessments to define which of the Global Goals are impacted upon by the company as a creator of fine jewellery and watches, an employer of skilled artisans and also a business sourcing metals and precious stones from around the world. Following the initial assessment phase, Chopard defined which of the goals they as a business could then have greatest influence upon and which metrics are to be used to track the companies contribution to the achievement of the 2030 objectives. 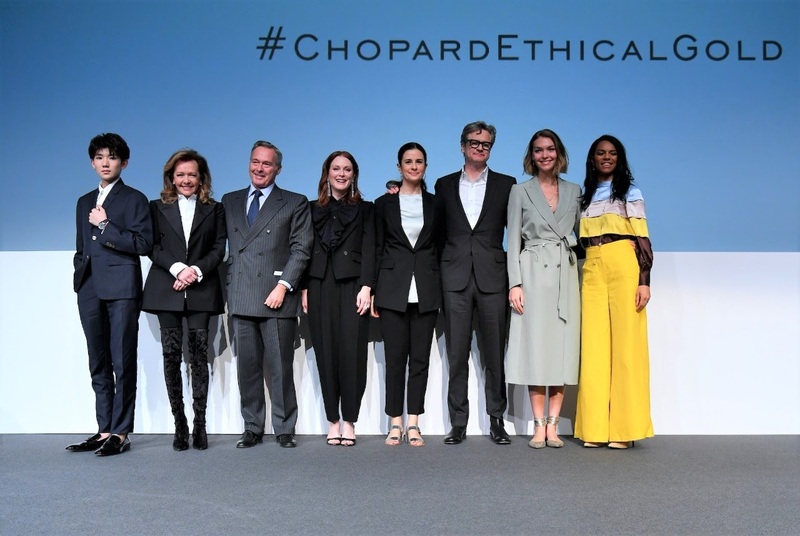 Chopard will report on their progress against defined metrics and goals as part of their ongoing commitment to corporate responsibility and contribution to wider sustainable development issues. 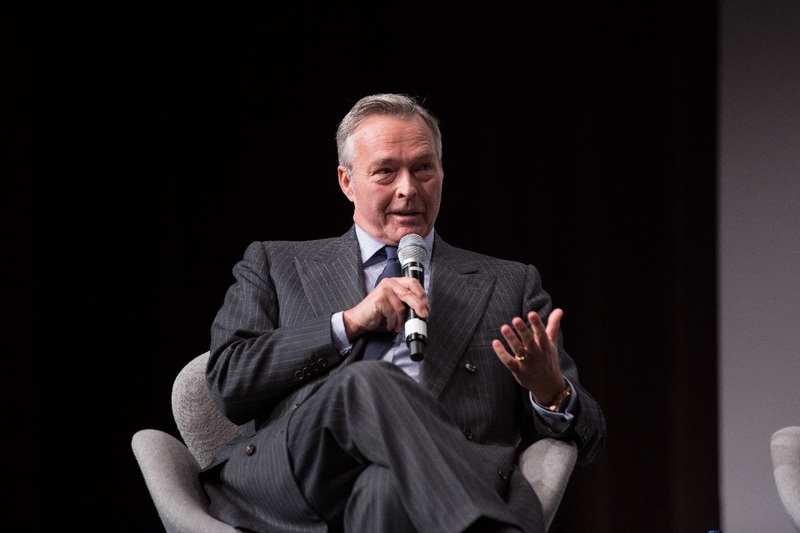 Karl-Friedrich Scheufele, Co-President of Chopard: “We are incredibly proud of being able to say that from July 2018 all of our gold will be purchased from responsible sources. “It is a bold commitment, but one that we must pursue if we are to make a difference to the lives of people who make our business possible. 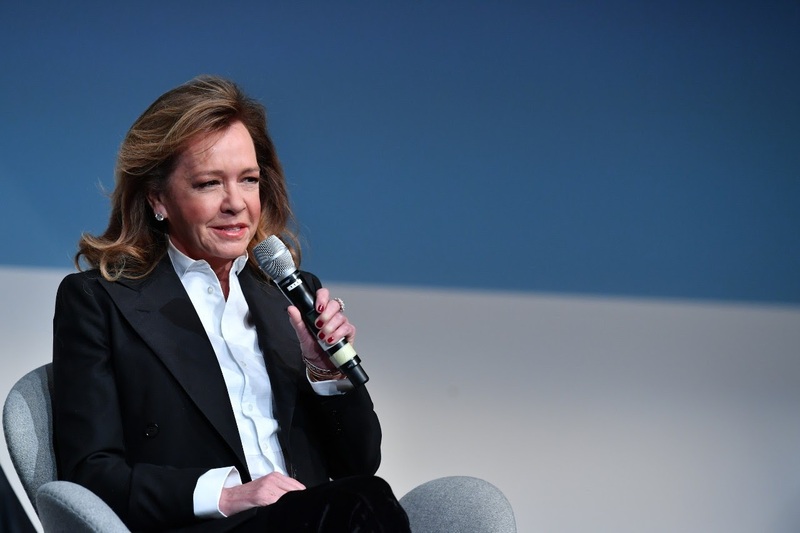 Caroline Scheufele, Co-President and Creative Director of Chopard: “As a family run business, ethics have always been an important part of our family philosophy. Naturally, we have always put ethics at the heart of the values of Chopard. Livia Firth, CEO and founder of Eco Age: “Today, thanks to The Global Goals, we have a 17 point plan laying out social and natural capital goals – and no one should be exempt from these. Connecting citizens with what has been called one of the most critical initiatives of our times is absolutely essential and exciting, if we wish to see a path to a more sustainable and just future. It is exciting to have Chopard share this vision and at Eco-Age we look forward to working with them to achieve this”.